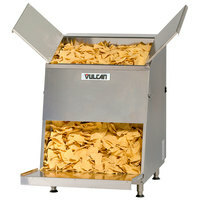 Increase the appeal of cheesy chips at your concession stand with a countertop nacho chip warmer! 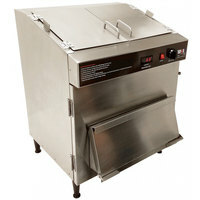 These warmers make it easy to serve snacks at your movie theatre, sports stadium, or concession stand, and they hold crunchy nachos at the perfect serving temperature. 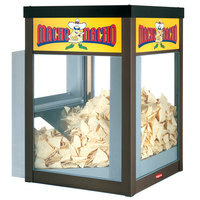 Nachos will stay fresh and warm inside these merchandising cases, and they'll be visible to customers through the clear window panes. This display will attract attention and increase impulse sales! 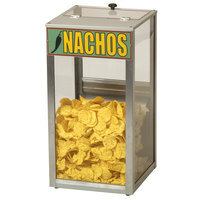 Each nacho warmer comes with eye-catching and brightly colored graphic labels, making it easy for you to advertise your product. 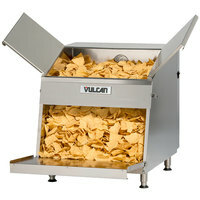 A food lamp on the inside of every nacho chip warmer cabinet keeps products hot and illuminates them for marketing appeal. 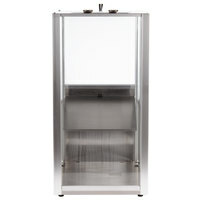 Choose from different sizes to suit the amount of product you need to store. 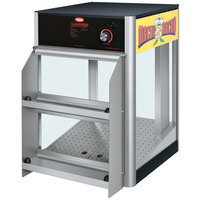 You can even use these merchandisers to hold warm popcorn!